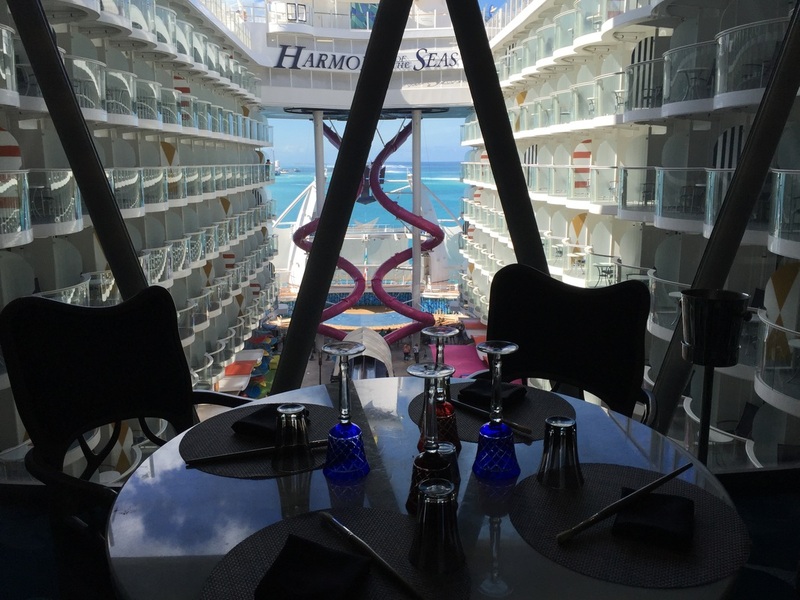 ABOARD HARMONY OF THE SEAS _ ​It's the most in-demand restaurant on the world's largest cruise ship. 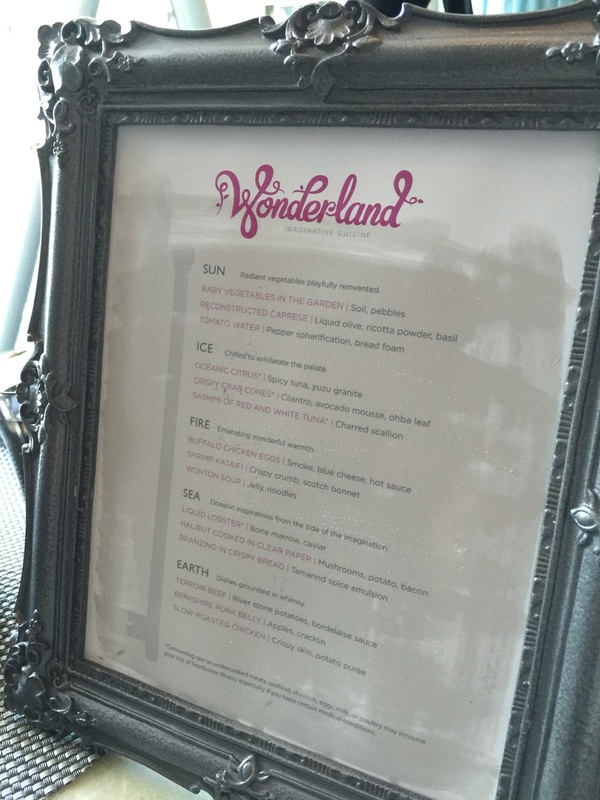 Called "Wonderland," it's a whimsical dining experience inspired by the Louis Carroll classic, "Alice in Wonderland." Trust me. This is one rabbit hole you want to go down. The setting itself is magical. Wonderland is located on Deck 12 on Harmony, with a view overlooking the ship's massive atrium. 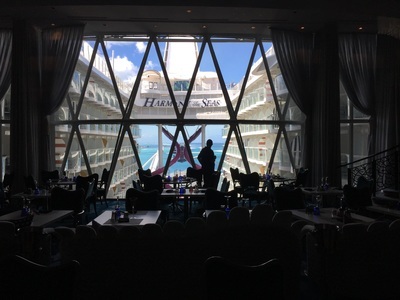 It's easy to see this will be special from the beginning of your meal. You start with a blank piece of paper in a frame. Then the waiter hands you a paintbrush and water. You brush the water on the paper and like magic, a menu appears! "The menu uses special paper that we found in Miami after a long search," said the man who has guided this unique culinary idea into reality -- Catalin Buta, Royal Caribbean's Food and Beverage Director New Build. 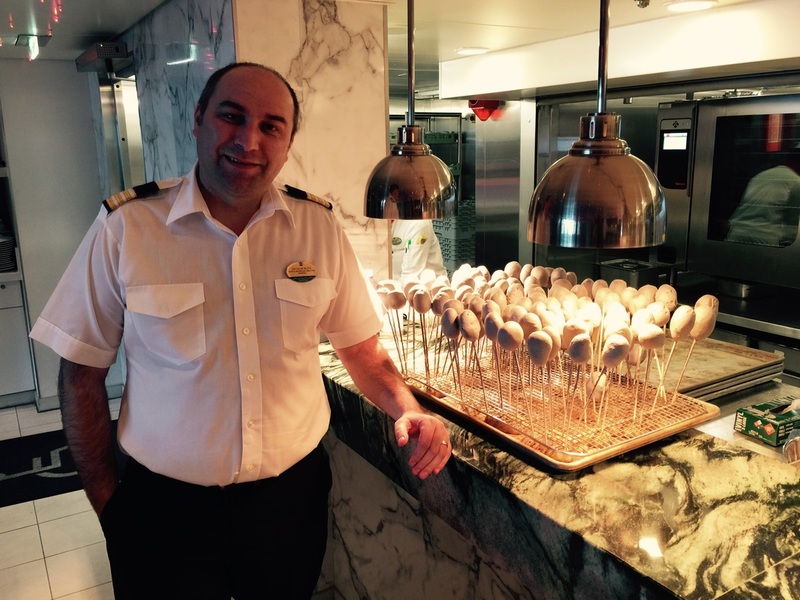 Buta has been with Royal for 17 years, working his way up from several restaurant management positions to his current role, where he supervises a team of 1,200 who see to the daily food needs of both passengers and crew. 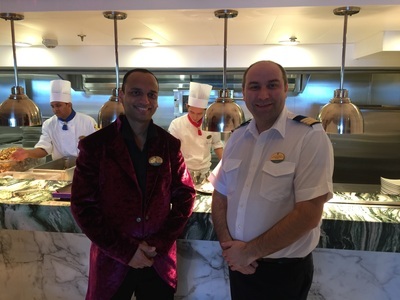 One of eight specialty restaurants onboard, Buta worked with Royal's Director of Food and Beverage, Culinary Operations, Michael Gilligan to develop the imaginative menu. 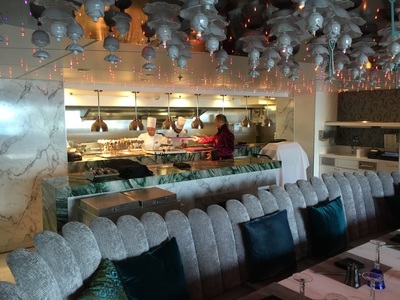 Featuring "molecular cooking and hand-crafted cocktails," Buta said the menu has five courses under the headings, Sun, Ice, Fire, Sea and Earth. Due to the complexity of the food, Buta pointed out the Wonderland chefs have three months of training. Likewise, the servers do more than just serve -- "they tell a story." 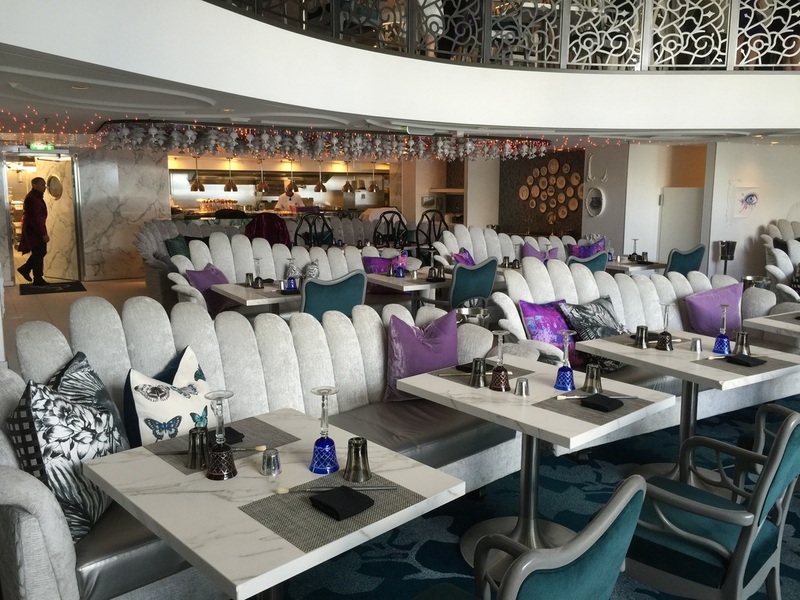 Due to its popularity, reservations are a must. They serve about 100 guests a day, and there is an upcharge of $49. For all the pride he takes in Wonderland, it only takes up a fraction of the effort required to feed up to almost 9,000 people, seven days a week. "The logistics are tremendous," said Buta, who hails from Romania. "The only thing that comes close is Disneyland." To what does it attribute his success? "Listening to our customers," he said, "and staying ahead of the game." We can't wait to see what Buta and Gilligan dream up for their next restaurant.